1. PIOs excel at warming beds, soothing arthritic joints, and guarding people, places, and things. So they're basically noun guards... Oh. And ours rips apart toys like it's going out of style. 2. Yes, aside from a few rando hairs here and there, Magista really is hairless. 3. 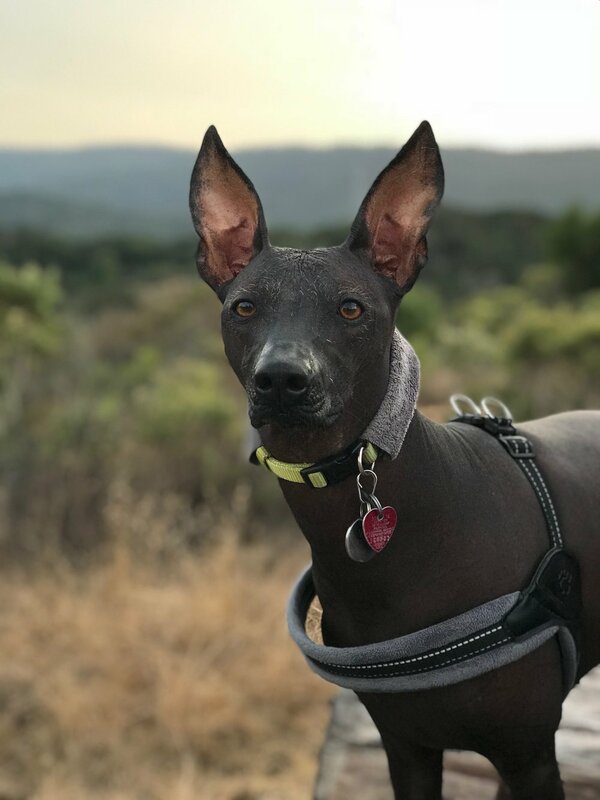 No, she is not a bat, sea lion, chupacabra, Xolo, or Pharaoh Hound. Yes, I promise. 4. Sunblock in the summer so she doesn't burn. Coconut oil year-round (orally and topically) so she doesn't get too dry or ashy. 5. I can't think of a fifth question, but I know that lists of three or five outperform lists of four. So this is your five. We are completely obsessed with our dog. After looking at a few snaps you might be too.